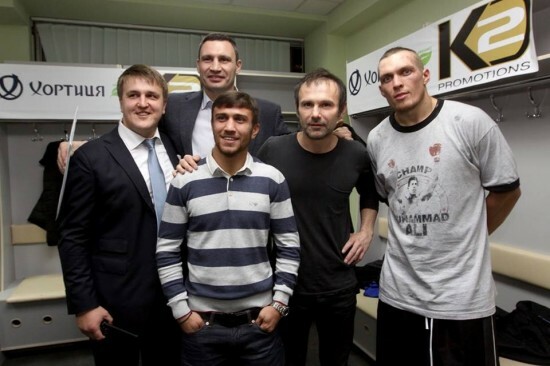 KIEV, UKRAINE, December 16, 2014 — With a resounding ninth round knockout victory on Saturday night in Kiev, Ukraine, fast rising cruiserweight prospect OLEKSANDR USYK capped off a brilliant year improving his perfect record to 6-0 with six stoppages. 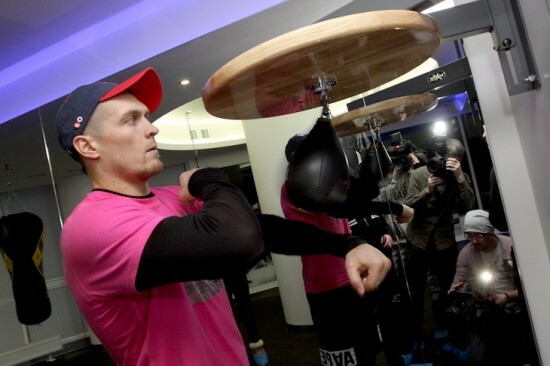 Oleksandr Usyk Back at Battle Sat., Dec. 13th vs. Danie Venter! KIEV, UKRAINE — 2012 Olympic Heavyweight Gold Medalist OLEKSANDR USYK makes his sixth pro start against South African veteran DANIE VENTER on Saturday, December 13th at the Sport Palace in Kiev, Ukraine. ODESSA, UKRAINE, May 31, 2014 — 2012 Olympic Heavyweight Gold Medalist OLEKSANDR USYK won his fourth professional fight this evening with a dominant fourth round stoppage of Argentinian veteran CESAR DAVID “El Ruso” CRENZ in front of a packed house at the Sport Palace in Odessa, Ukraine.